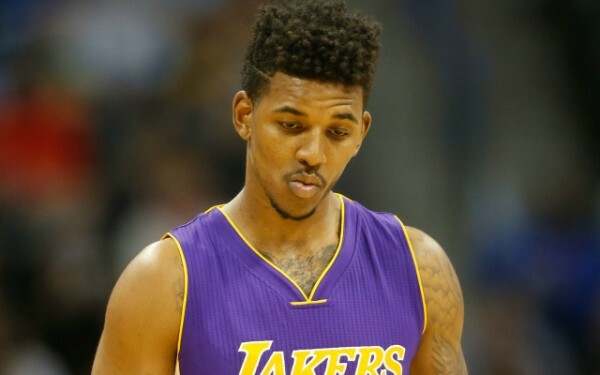 The Los Angeles Lakers don’t want Nick Young anymore, but there doesn’t seem to be any kind of demand for the player around the league, making their efforts of trading him pretty useless. Byron Scott hates Young, and was quite happy to leave him on the bench, off the playing squad or to see him injured last season. Young had a very good year under Mike D’Antoni, his first with the Lakers, but injuries and playing under a clueless coach and next to Kobe Bryant (although the two didn’t share the court a whole lot) didn’t really help out his career, dropping to 13.4 points per game. Shooting 36.6% from the field didn’t actually help, missing 40 games last season. But Young isn’t too sad. His one good year with the Lakers landed him a nice deal. He’s owed $5.2 million this season, $5.4 million in 2016-2017 and has a player option worth $5.6 million in 2017-2018. Not that much money considering what the salary cap will be like in a year, but it’s still something the Lakers would like to have off the books. Release him completely? Right now that’s not an option on the table, but a lot depends on how things go between Young and Scott during the season. If Young manages to do more than just shoot at will and actually become an efficient part of the team once again, it’ll be worth having him around; the Lakers aren’t exactly filled with explosive offensive talent. But Young hasn’t shown an ability to change and adapt during his NBA career. Scott isn’t the most flexible and easy of coaches to work with. This has collision course written all over it and maybe in the end, the Lakers won’t have a choice but to get rid of Young.